Looking for professional opinion on home that needs foundation repair, trying to find the main cause. I need a quote for installation of a basement sump pump. We get water in the basement that comes in through foundation by bilko doors. We'd like to have a conversation with someone about finishing our basement. We have high ceilings and would like to utilize the space we have in our basement. I have questions about heating, ceiling and flooring options that I would like some advice on. Im a general contractor need pricing on helical piel installation on a foundation repair and future install. We're in the process of buying this property and we have a concern about some evidence of water damage in the basement. I am in the process of purchasing the above property and there are water issues in the basement. I need to confirm the cost of mitigating the water issues and we will want the work done as soon as we close prior to moving into the house. The four men were so nice and really worked hard. I’m thoroughly satisfied and can’t wait to go down to the basement after the next heavy rain and not walk into a puddle of water. If you are considering a basement waterproofing system, this is the company to choose...The cost was very reasonable for a system so comprehensive and the were straight forward with pricing, no pressure or pricing games. Connecticut Basement Systems is a company I happily recommend. ...work was done on time and the people who installed all the systems were well qualified and efficient. We could not be happier with the results. From start to finish, everyone was pleasant, professional and knowledgeable. The office staff was always quick to assist me, all questions were answered promptly. I've never seen work in my house be done so quickly! Dan was very patient, helpful and did not rush me. He explained the process for me to understand. Ferninand was a pleasure and just great! Very informative! Scott was professional, explained ewhat he was doing and very courteous! A pleasant experience! The information packet is a smart marketing tool because it discusses the PROBLEM, the SOLUTIONS and not just your company. Others have told me their only regret was that they hadn't done the work earlier. I'm confident that I too will feel that way. 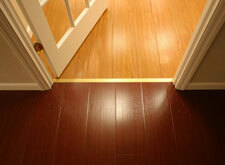 Great products, great workmanship, and courteous people in all levels of the process. Danny Oesterreich is FANTASTIC! He is a real asset to your company. There was a problem within a few days of our installation. Dan came back to inspect and then came back to fix it a few days after that. He had a "can-do" attitude and put my mind at ease that the initial install issues would be resolved. He came to repair a basic tear and discovered that the hose leading to the drain was not cut to the proper length, and the levelers weren't set properly, resulting in water pools=ing near the dehumidifier. After spending the money that we did, we didn't expect any issues at all. The problems with the initial dehumidifier would have put a really bad taste in our mouth if the situation were not handled well. Danny's actions turned it around for us - he really went the extra mile to make it right. I'm very grateful to him and I hope you are too! For years, Connecticut Total Basement Finishing has been recognized as an industry leader in basement finishing and remodeling basements for Stamford residents. This recognition comes from our millions of satisfied customers throughout Connecticut who love their basements for as long as they own their home. We do the work we do because we not only want it to look great but to last as long as the house. This is how the window looks from inside the basement. Absolutely beautiful and the energy efficiency will dramatically improved. The homeowner was satisfied with these upgraded energy efficient windows. With a SunHouse Window Well, dirt and debris will not obstruct the window. It will also allow natural sunlight into the basement. Before, the windows were filled with dirt and debris from the inside out. Natural light was not being utilized correctly. This Stamford basement was experiencing cold drafts in his basement and the homeowner was paying a high electric bill every month. 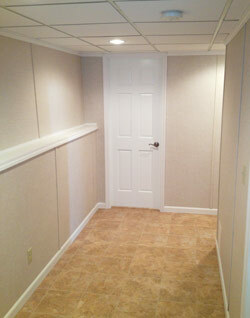 The basement was also outdated and the homeowner wanted something that would make the area more attractive. Wanting a solution that would satisfy his energy efficiency and aesthetic concern, he called Connecticut Basement Systems to schedule an appointment. On the day of the appointment, our Sales Representative Don Godbout, arrived at the home to inspect the basement. He suggested installing EverLast windows would be the perfect solution for this homeowner’s needs. The homeowner agreed and quickly scheduled a day for installation. On the day of installation, Krzysztof and his production crew installed the EverLast windows. These windows were the best option because they are built with reinforced vinyl frames that will not rust or rot. Also, they have insulated glass so heat loss will never be a problem, which will save money on the electric bill. These windows really pop in any basement and brings in a lot of natural light. The homeowner was thrilled with the windows because it solved all of his concerns and made his basement much more pleasant! I would like to turn my basement into a clean space for storage. Water leaks, rodents, etc have made it difficult to use for that purpose. My goals are: 1) Thoroughly clean and clear out the basement, 2) Waterproof and potentially install new walls and ceiling (this is not going to be a living space, so nothing fancy required, just something that works practically), 3) Get clean flooring I can depend on. I have a sump pump that does NOT have a sealed cover. I would like to have the sump pump sealed. Thanks. There's a lot of water entering the crawl space and would like to waterproof. Hello, My basement needs major work. 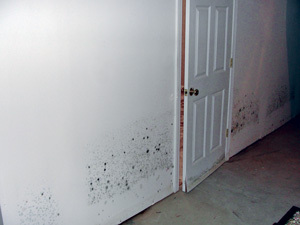 Mold removal and we would like to finish the basement. Home was waterproofed about 25 yrs ago. Over the last year I started getting water again. I did have a new furnace and oil tank installed over the last couple of years and that is the area water is coming in. Not sure if that is the cause but the time frame is similar. We have a storage area that we need a plan to maintain from smelling musty. Water still coming in and need quote on additional piping.